Brent F. Filson is the founder and president of The Filson Leadership Group, Inc. His Massachusetts firm specializes in helping businesses, governments, and non-profit organizations worldwide achieve significant increases in hard, measured results -- far more results than what the organizations are presently achieving. These objectives are accomplished by having leaders institute special, results-producing methodologies Filson has developed while training and consulting in many business sectors. ; The methodologies are used daily by leaders of all ranks and functions to create motivational strategies, structures and systems generating what Filson describes as "more results faster, continually." He first learned about leadership as a Marine Corps rifle platoon commander. As a civilian, he has, during the past 21 years, helped thousands of leaders and scores of organizations worldwide boost results by enhancing leadership effectiveness. Working with leaders in many top companies, he has developed motivational leadership strategies, processes and skill sets, and created and instituted leadership educational and training programs. He has lectured at Columbia University, MIT's Sloane School Of Business, Boston College, Wake Forest University, Williams College, Villanova, and more. He has spoken before many dozens of private, non-profit and government organizations. Filson is the author of 23 books (some one millions copies sold) and more than 100 articles on leadership. His leadership books and articles have been featured some 300 magazines and newspapers. His book, Executive Speeches: 51 CEOs Tell You How To Do Yours, has been called "a classic" by the Public Relations Journal. Considered by experts to be a landmark in leadership communication, the book is being used in many educational venues worldwide. His latest book, The Leadership Talk: The Great Leadership Tool, has been selected finalist in the careers category of a national book award. During the past year, he has gotten rave reviews being interviewed on some 125 radio programs, discussing his leadership philosophy and processes. 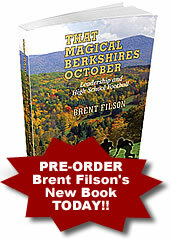 Brent Filson is a graduate of Wake Forest.